The Last leaf is about to fall from the tree. let’s write a story about Leafy’s Day! 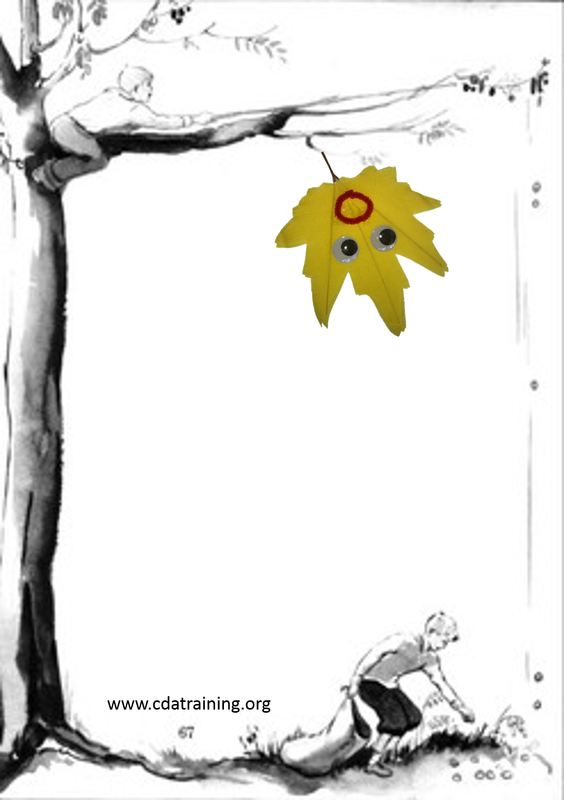 Read: “The Fall of Freddie the Leaf” Freddie is a leaf who changes with the coming of fall. 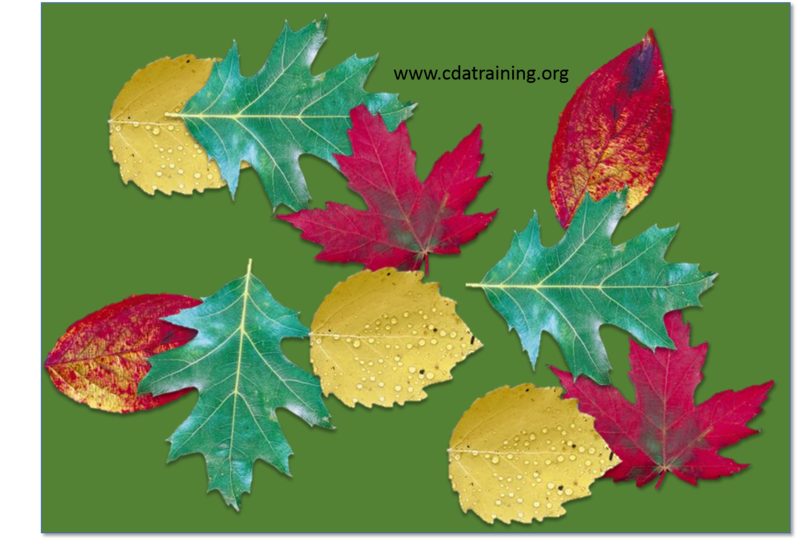 A wonderful look at the seasons of leaves and life. Materials needed: Construction paper, blank paper, crayons/markers, stapler, scissors, leaf cut out or stickers. Directions: The cover: have the children make a collage of leaves. (Real leaves would be more fun, but cut out leaves will do.) Print out the “Last Leaf” poem and attach it to inside the cover. 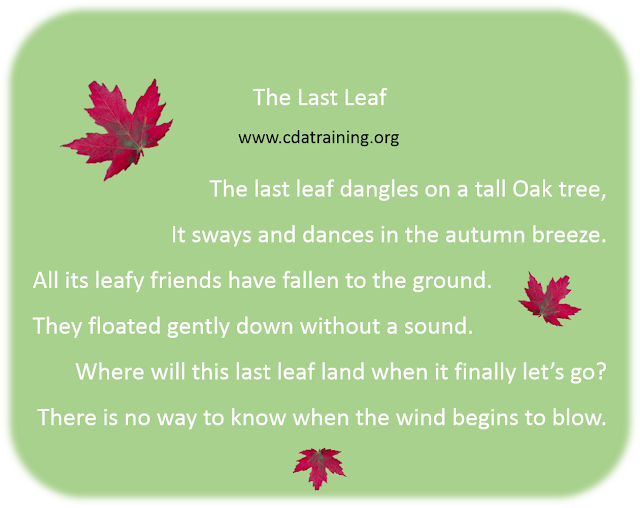 Story: Each day have the children write (dictate to you) and draw a story about where Leafy the last leaf went, who she saw and what she did. 1 to 5 pages depending upon the interest of the children. Instructions: Read “The Fall of Freddie the Leaf” each day. Have the children brainstorm adventures the last leaf might have. Set out the drawing/writing activity at the writing table so children who want to can work on their stories. Extension activity: Have the children pretend they are the last leaf. Blow on them so they can gently fall to the ground. Extension activity: When it’s time to dismiss or move the children blow them to their destination. Let them sway and move like a leaf in the wind.